WITH OR WITHOUT SHOES! 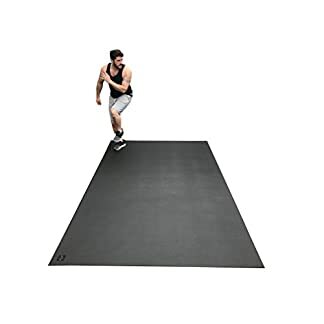 Can be used for everything from CARDIO WORKOUTS like P90X, TAM, or Insanity, to DANCE WORKOUTS like Zumba, to HOME GYM WORKOUTS like KETTLE BELL, JUMPING ROPE or UNDER A PUNCHING BAG. 10ft x 6ft & 6mm Thick (120″ x 72″ x 1/4″) – A MASSIVE 60 Square Feet! 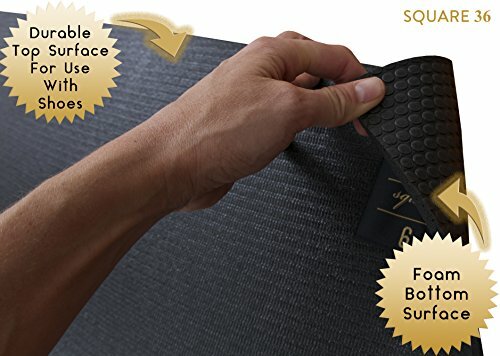 CHECK OUT OUR SQUARE36 YOGA MATS – ON SALE NOW FOR JANUARY! 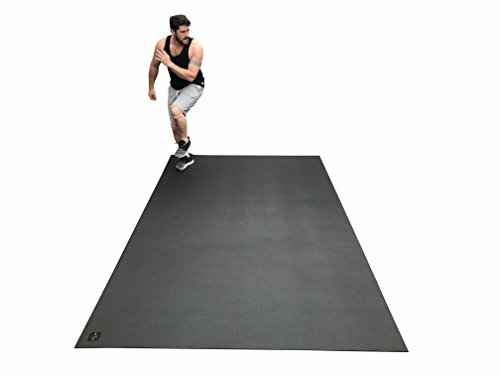 Our Square36 Yoga mats work great with the Square36 Large Exercise mats. 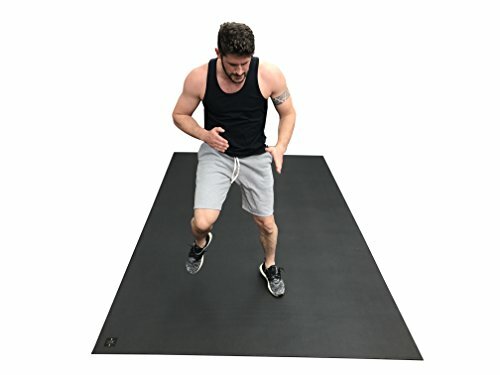 Our yoga mats are grippy and perfect for yoga and stretching without shoes. Available in 6’x4′, 6’x6′ & 8’x6′ sizes. 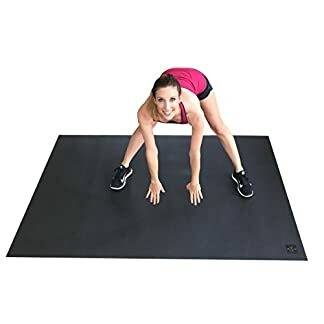 Place our Yoga mat on top of the Cardio Mat for better grip for stretching and yoga. • Dimensions: 10 ft wide x 6 ft long x 6mm thick (120″ x 72″ x 1/4″) – A Massive 60 Square Feet! 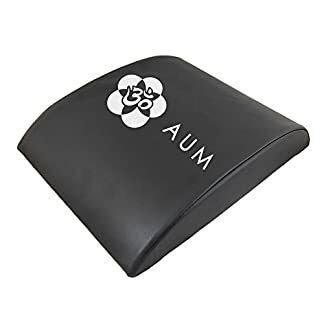 • Material top surface (side with the logo) – natural rubber. Bottom surface (foam, circular side) – premium grade non-toxic foam. These mats are free from phthalates, latex & silicone. Toxin Free. • Easily Mobile – Throw down in your living room and easily roll up to store. 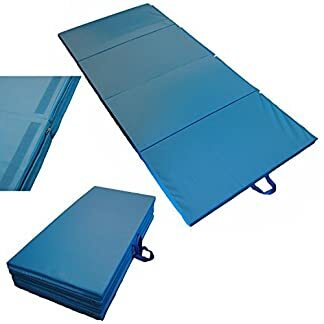 Large Exercise Mat Includes A Storage Bag and Storage Straps. 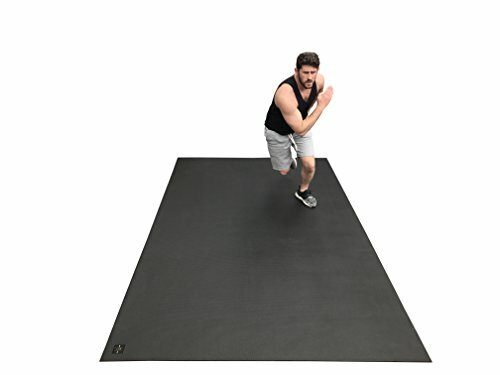 Perfect For Cardio, Plyometric, MMA, & Aerobic Workouts. 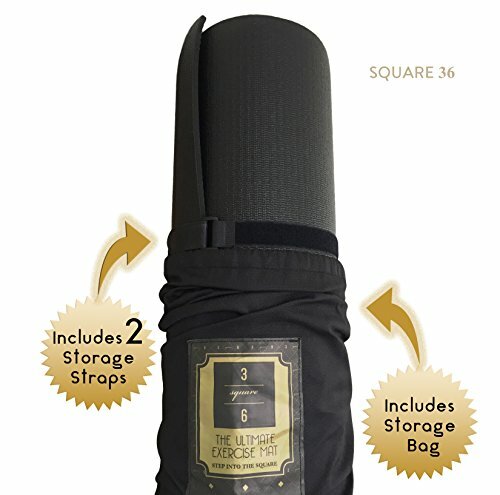 Square36 Large Exercise Mat Comes With A Storage Bag and Storage Straps. 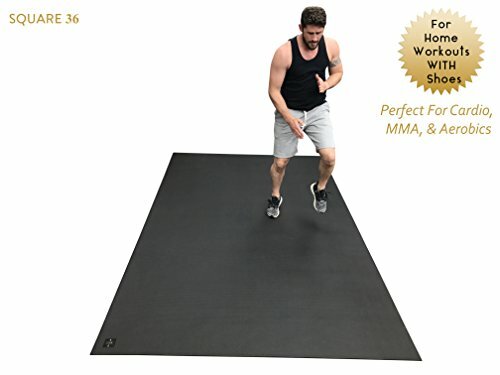 Designed For Home-Based Fitness Routines. 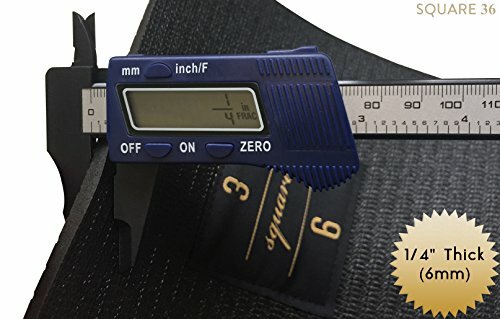 Durable Enough For Use With SHOES. Square36.